Come to the Best Pawn Shop on this side of Mesa: B and B Loan and Gold! You have bills need paying, but normal ways aren’t soon enough. You’ve been to other pawn shops and they just don’t give enough of the cash you feel you need. Then it’s time to save yourself the trip. 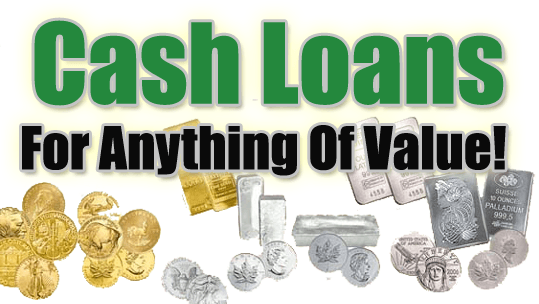 Simplify your situation by going to the best pawn shop in Mesa and the East Valley: B and B Loan and Gold! We’re the top cash lender in Mesa, Tempe, and Chandler, top buyer of jewelry, electronics, gold, silver, instruments, and the top title loan lender as well! Any need for fast cash that you need we can fulfill. What kind of items does ‘the Best Pawn Shop’ take for Cash/Pawn Loans? When we say anything, we mean it. We want to provide YOU a means to take control of your life back. Cash or Pawn Loans will do that for you! Just show us your item and we will offer you a pawn loan for it. Like what you see, and we hope you will, you get the money in a few moments. Then the world is open to you for options. Take a look at how large our menus are at the top of the page! Everything is worth cash, no matter what it is, and we’re here to give you that cash for your items! If you don’t see something listed in our menus that you’d like to sell or pawn for cash, just give us a quick call and we’ll tell ya whether or not we can! More often than not, our pawn shop will be happy to take items off your hands. How does your pawn loan process work? As the best, we wish to stay competitive with the pricing of our pawn loans. We are also one of the few pawn shops willing to extend their loan period to up to 90 days. Most shops only go up to 60 days and then that’s it. We here at B and B feels that doesn’t sound like a fair deal. That’s why we offer the extra 30 days. We also give other great benefits with our loans too! If you have further questions about how we do things, click on the link to our most asked questions here. It takes guts to claim to be the ‘best pawn shop’ among so many other pawn shops, but facts speak for themselves. We’ve been in this business for over 10 years. In that time, we have seen the city of Mesa grow. As the needs of our customers grew, so did our prowess as a source of aid. Now we are one of, IF NOT the best course of action for fast cash. We will continue to serve the community of Mesa and the sister cities of Tempe, Phoenix, Gilbert, Chandler, and Scottsdale. That’s what makes B and B Loan and Gold the BEST pawn shop in Meas and the East Valley.